The Story Behind the Art Work and Other Fun Stuff! Please Note: This post contains affiliate links. All that means is that if someone purchases something through one of the links, I do make some money at no extra cost to you! Thank you for your support! 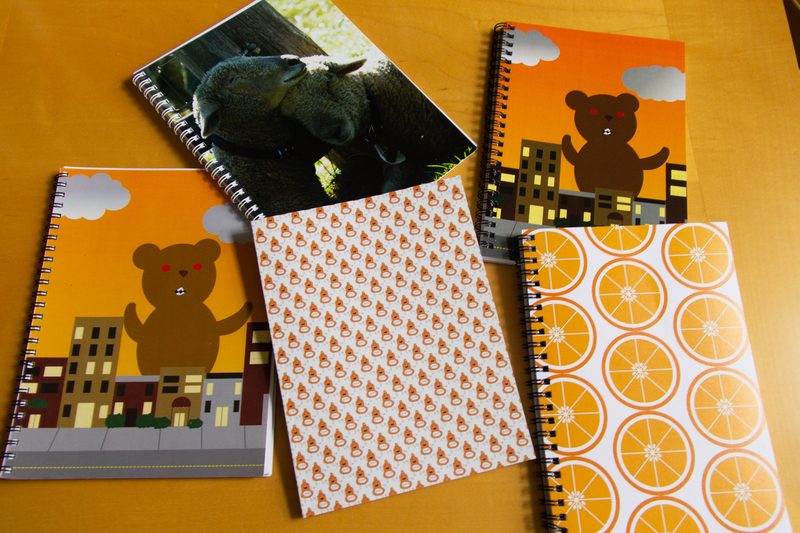 In last month’s post, I wrote about Zazzle Notebooks. You can find that blog post here. 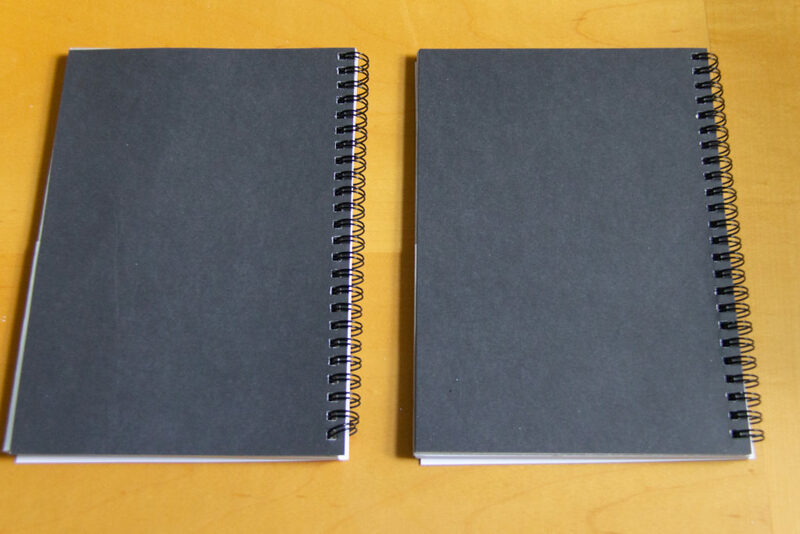 This post will be about notebooks from Red Bubble. (On a side note, they also sell hard covered journal notebooks.) 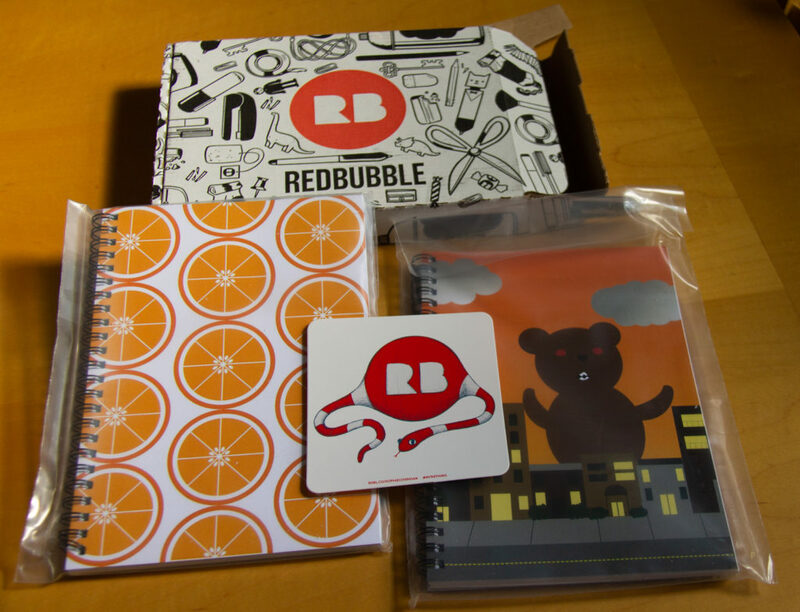 Hopefully you find this post helpful in getting an idea about what the spiral notebooks from Red Bubble are like. 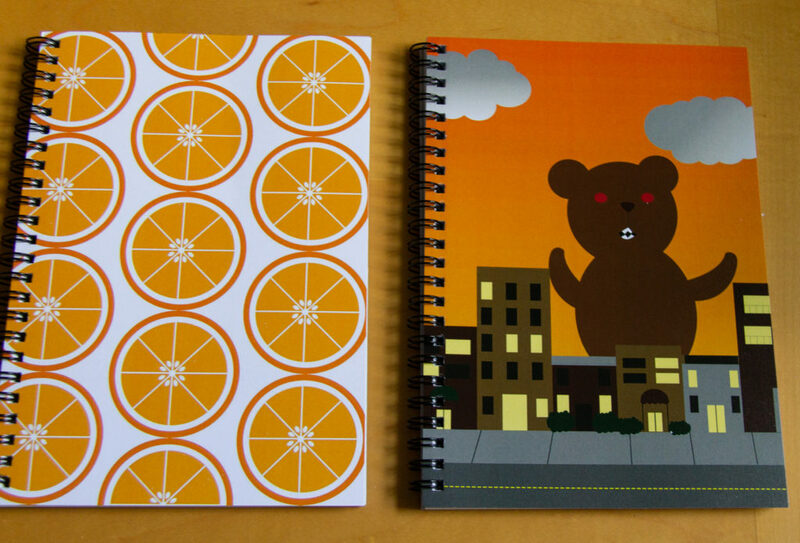 The two spiral notebooks I bought from Red Bubble were Monster Bear and Orange Slice Fruit. The nice thing about the Redbubble spiral notebooks is that there is a folder towards the back of the notebook. This is super helpful for people like me who make notes for various reasons on loose paper and then shove it into the notebook, only to have the paper constantly fall out! Redbubble also included a sticker. The art work is by Sophie Corrigan. Another bonus is that the Red Bubble spiral notebooks seem super durable. I’m very hard on my notebooks. Whenever I go somewhere where I know I’ll be sitting around for along time, I always bring a bag full of stuff to keep me entertained. I’ve been known to accidentally rip the cover off of a notebook. Luckily, I was able to bring the Red Bubble notebook back and forth in an over stuffed bag and it looks just like new! Yeah! I like the fact that each notebook comes in its own protective bag. The box that Red Bubble uses is also very sturdy. This seems to help in protecting the notebooks during the delivery journey. I’m note going to lie. I also like the fact that Red Bubble includes a fun surprise sticker. It feels like I’m getting a bonus! Just a heads up, if you’re frugal like me, but still love cute notebooks, Red Bubble does have good sales. You can sign up for their emails or check their website. Hopefully this post gives you some insight into what the spiral notebooks from Red Bubble are like. Do you have a place where you like to buy notebooks from? 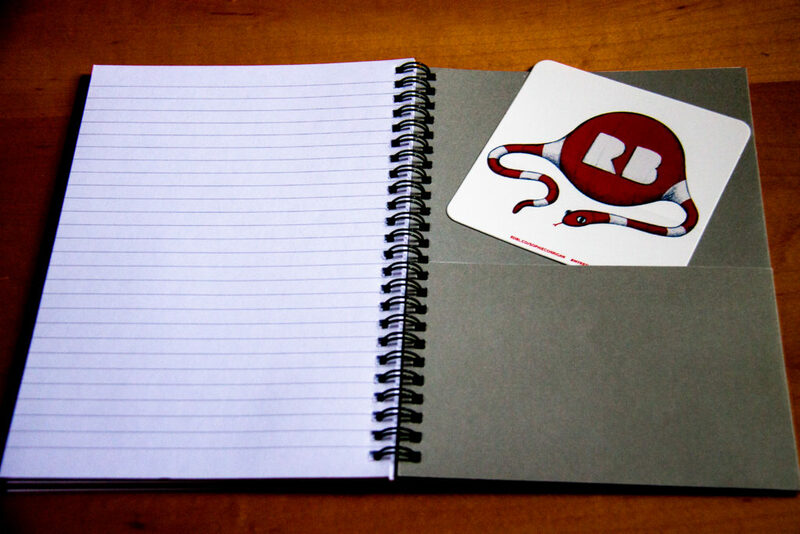 Do you have any questions about Red Bubble notebooks? Let us know in the comments!